Catch the New Zealand Guide to Yoga Teacher Trainings 2017 here. Catch the Australian Guide to Yoga Teacher Trainings 2017 here. Welcome to the YLB’s comprehensive guide* to New Zealand-based Yoga Teacher Trainings available in 2016 and early 2017. Although we can’t claim to feature every Teacher Training on offer, we are amazed at the number and diversity of the trainings that we are able to cover. It’s a good time to be a yoga practitioner in this country! Note that many of these teachers and studios offer a variety of Teacher Trainings and workshops throughout the year and annually, so if these dates listed don’t suit you (or have already been and gone) be sure to visit their website for more dates and trainings. Trainings are organised alphabetically and by style. Click a link below to jump straight to that section. April 21 – 28, 2017, October 2 – 14, 2017 & April 2018, Christchurch. $4950 + accommodation & food costs for those in residence. Considered internationally as “the teacher of teachers”, Donna Farhi and her exceptional faculty lead participants through a deeply personal and profound exploration of the evolution of human movement itself. Through directly experiencing the origins of movement participants use this as the foundation for structurally sound practice and innovative teaching. Past participants have variously described this training as “life transforming”, “impeccable”, “inspiring” and “setting the high bar for Yoga Teacher Education.” Committed Yoga practitioners from diversely different Yoga methods and styles have used this training to inform their future teaching, and to learn how in-depth understanding of anatomy, somatics and current medical research can support safe and effective teaching. Click here for more information. Centre for Contemporary Yoga Studies 200Hr Yoga Teacher Training with Vincent Bolletta, Karla Brodie, Neal Ghoshal and Dyana Wells. All located in Auckland, all $2950 (early bird). Our ‘whole school’ approach to Yoga and teacher training, allows four specialist tutors to support students through their whole yoga journey. All styles of yoga are covered to comply with Yoga Alliance accreditation, and on graduation of any course you can apply for YA Registered Teacher certification. This is valid and recognised in most countries. Fully explore how Developmental Movement Patterns grow into naturally aligned asana, with organ and fluid systems support. Discuss recent groundbreaking research into Human Anatomy & Physiology and its relevance to yoga today. Classes include hands-on with bones and muscles, with investigations into Yoga Biomechanics and special focus on containment and stability. Learn Postural Analysis and how to restore natural balance and full range of motion. Many windows into self on our trainings allow you to work with subtle energies of the body to purify them and touch the natural mind. Yoga philosophy brings sutras, chakras, pranas and meditation to life, to support a full yoga lifestyle. Understanding mind and body enables safe teaching practices and provides confidence in teaching skills. This training will transform your understanding of yoga and yourself. Centre for Contemporary Yoga Studies 300Hr Yoga Teacher Training with Vincent Bolletta, Karla Brodie, Neal Ghoshal and Dyana Wells. April 21 – November 27 2016, Auckland. Includes 4 separate modules, each module being completed in two 4-day units. Cost of each module is $1,450 (early bird) or a total of $4,700 for all 4 modules. The additional 300 hours in this Yoga Alliance program are structured to provide advanced experience and understanding in all aspects of yoga, and to facilitate teaching to all levels and conditions of students. The YA accredited 300Hr Yoga Teacher Training courses are suitable for yoga teachers with 200Hr accredited training. All styles of yoga are covered to comply with YA accreditation. The modules can be taken to suit your own calendar, or as stand-alone Professional Development courses. Individual modules can be taken by experienced Yoga Teachers for Personal Development and up-skilling. The modules can be taken in any order and over a number of years. On graduation of any course you can apply for YA 500Hr Registered Teacher certification. This is valid and recognised in most countries worldwide. Immersions: October 14th – 27th 2016. April 14th – 27th 2017. September 29th – October 12th 2017. From $2,900 including accommodation. In this comprehensive yoga teacher training we empower you with the skills that will enable you to practice and teach yoga competently. We hope to nurture you on the transformative and life-enriching path of self-discovery and in guiding others in this process.Golden Flow Teacher Trainings impart tools that are quality, professional, intelligent and will enhance your practice and teaching skills. As well as those who intend to teach yoga, we also welcome those who would like to deepen their own yoga journey or seek a path to general health and wellbeing.This course has a focus on yoga for individual needs, tailored to suit each person and circumstance.The Golden Flow Yoga training is a fusion of all aspects of yoga. It brings together the alignment and attention of Iyengar, the breath and Prana flow of Vinyasa and the lifestyle and philosophy of exploring and living the Eightfold Path. Students will learn to capably instruct a solid and safe Hatha-style class and then have the freedom and encouragement to find their own intuition, flow and pathways within that. It’s not just about learning asana – this is a holistic, wholehearted training that will deepen the student’s yogic knowledge and practices. As a graduate of this registered RYS 200HR training program you will be eligible to become a yoga alliance member and fully qualified to teach. We only hold small training groups so there is maximum attention and efficiency! February 26 – August 28, 2016 (Part Time), Auckland. $4,000 (early bird). Jayayoga is a precision syllabus built on over 15 years of experience in yoga education and teacher training. Our courses prepare the yoga teacher to teach diverse styles of Yoga including Vinyasa Flow, Yin, Restorative Yoga, and Yoga Therapy, all with a meticulous attention to safety, alignment, and the biomechanics of the body. Whether you are looking to deepen your own understanding of the practice, or launch into an exciting career as a yoga teacher, this course is for you. Jayayoga combines theoretical and practical applications of yoga in an intimate learning environment, catering to each student’s individual path. Click here for more information. We also offer a 300Hr advanced Teacher Training. Click here for more information. Svastha Yoga is dedicated to the authentic transmission of the ancient wisdom of yoga brought alive for modern living. Developed by A.G. and Indra Mohan of Svastha Yoga and Ayurveda, Chennai, India, this program is internationally recognised and taught in various locations world wide. 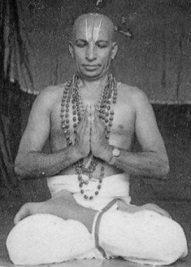 The knowledge presented is based on the teachings of the legendary yoga master Sri T. Krishnamachayra, of whom the Mohans were long-term dedicated students. This program is for the dedicated yoga practitioner seeking a deeper understanding of yoga. Our training is comprehensive and contains a strong focus on yoga psychology and philosophy as well as presenting sound information in asana, pranayama, meditation and teaching methodology. As a participant you will be empowered with timeless, practical information that will guide you on your journey through life. Combined with your own developing practice, the knowledge you acquire throughout this program will assist you in guiding others. Click here for more information. 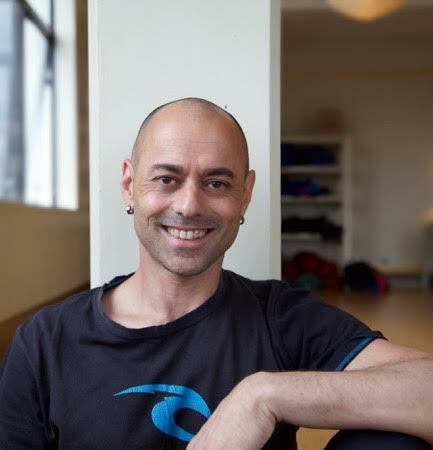 Vincent Bolletta leads a mentoring program over 12 months that encompasses both theory and practical aspects of yoga. You will gain deeper understanding of yoga practice and how it impacts yourself and those you may be in a position to teach. Based on his experience as a teacher and Yoga Therapist, the program assists students and teachers alike to understand individual student needs and adapt their teaching to suit. Central to the mentoring program are weekly, individual guided tuition sessions, alongside personal practice programs. Each student will be required to keep a diary of their practice sessions. The training aspect covers both Western and Eastern principles and methodologies. Topics will vary from biomechanics to therapeutic practices and class delivery. Click here for more information. 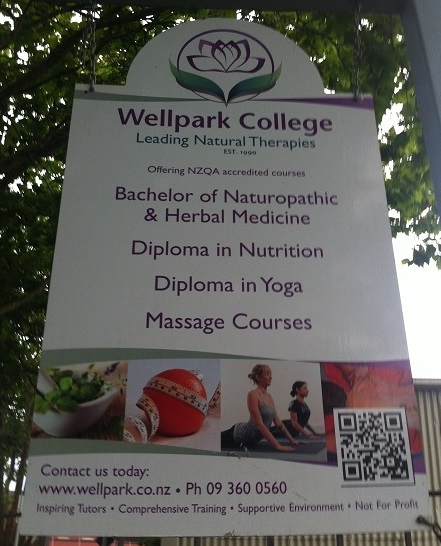 Wellpark 1 Year Diploma in Yoga – 500 hours ,Yoga Teacher Training in Grey Lynn, Auckland. Full or Part Time study, start in July or February, Study Link Loans available, NZQA accredited. 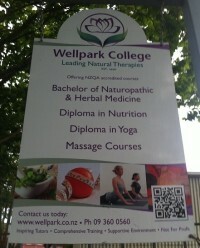 Yoga and Yoga Teacher Training is taught at Wellpark College incorporating our unique holistic expertise and modern yoga practices with the traditional Yoga values. The programme integrates the practices of physical postures (asana), breathing techniques (pranayama), relaxation, meditation, chanting and lifestyle modifications. These practices expand your awareness of the deeper levels of self and can improve health and wellbeing. During the first semester, students study philosophy and practice of Yoga, Anatomy and Physiology and Ayurveda. You will also learn and conduct practical’s for Ayurvedic massage. The early part of the yoga course concentrates on personal development, and the second semester brings emphasis to becoming a yoga teacher. Also during the second semester, you will begin clinical experience and organise the teaching of faculty specified hours of yoga classes. You are offered the opportunity to become involved in the Green Prescription programme, providing free physical activity classes to clients on the recommendation of their doctors. Click here for more information. Yoga Aotearoa International Yoga Teachers Association Teaching Diploma Course. The Yoga Aotearoa International Yoga Teachers Association Teaching Diploma Course provides the opportunity to explore the eight limbs of Yoga as explained in Patanjali’s Yoga Sutras. With the Sutras providing the framework for learning it allows students to explore styles and teaching schools that resonate with them and build up a holistic toolbox of yoga knowledge. Students are encouraged to develop a sadhana weaving the Yamas and Niyamas into their learning both on and off the mat while exploring Asana and Pranayama through personal observation and reflection. Students also work with the deeper aspects of Yoga, Pratyahara, Dharana, Dhyana, and Samadhi, being given opportunities for discussion, inquiry and contemplation. Each student is supported on their journey by a personal tutor who encourages and challenges them to deepen their learning. 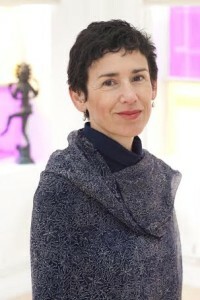 The tutors are chosen for their knowledge and experience of teaching yoga and bring a wide range of depth and understanding, they are also supported by the course co-ordinator. Click here for more information. All options $2950. Early Bird deposit saves $500. Payment in full one month before start date. 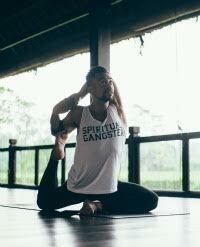 This 200 Hr Yoga Teacher Training will train you in the ancient traditional approach to yoga practice, and extend your journey into the modern evolutionary pathways of yoga, exploring the richness of the relationship between body, mind and movement. Learn the art of adjustment and sequencing, applied Yoga anatomy and physiology, the rich heritage and philosophical roots of Yoga and contemporary developments. Our training programs are flexible, affordable courses designed for the working person. Different delivery modes are available to suit your individual circumstances. A unique learning environment close to nature that supports an immersion experience where you are able to access the teachings deeply. Embark on a life changing experience of personal transformation from which students emerge as practitioners and foundational teachers of skill and wisdom. Click here for more information. We also offer 350Hr and 500Hr Teacher Trainings. Click here for more information. Apollo Power Yoga RYS200 – Step into Your Power. 16 – 23 January 2016 in Methven, & 16 – 23 April 2016 in Maruia Hot Springs Resort. $3750. Step into Your Power is a fantastic Yoga Alliance recognised teacher training programme that will draw forth your greatest expression as a practitioner and as a person and allow you to shine as a teacher. Held in two beautiful South Island resort locations, the training is immersive in nature allowing you to live and breathe yoga practice and philosophy and build tremendous relationships in a powerful group dynamic. This training will not only enhance your appreciation of yoga as a way of being for yourself but will empower you to be an effective teacher and leader in your community. Learn with Hamish Kenworthy, New Zealand’s first certified teacher of Baptiste Power Vinyasa Yoga and Budokon® Yoga. Click here for more information . 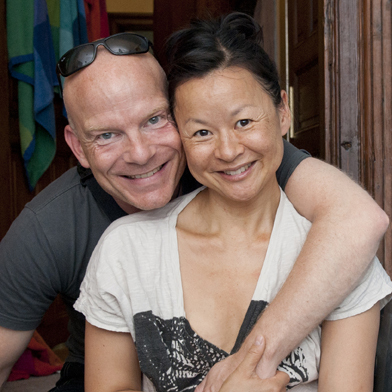 Hamish’s profile as a certified Baptiste power vinyasa yoga teacher. May 19 – July 24 2016 & September 1 – November 27 2016. Wellington. $4,297 (members get 10% discount). 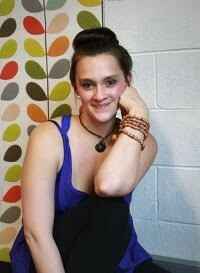 Power Living presents the 200Hr Yoga Teacher Training program. 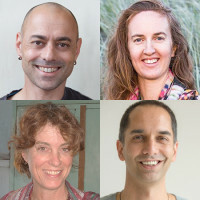 The pioneers of transformational Yoga Teacher Training in Australia and New Zealand, this course is designed for all. Train with the Master Facilitation team to become a certified Vinyasa Yoga Teacher, able to teach anywhere in the world. Learn how to command in the classroom, through powerful delivery and inspirational theming. Develop a holistic understanding of Yoga, including asana, applied anatomy and the physiology of power yoga. Understand modern philosophical teachings so you can blend the physical asana practice with empowering philosophy. Complete in-depth self-study to break through limiting beliefs that hold you back in life and step into your most powerful Self. Gain practice teaching from the get-go and receive live feedback and coaching throughout the course. This training will change your life leaving you inspired, educated and ready to take on the world through Yoga. Click here for more information. We also offer a 500 Hr Teacher Training. Click here for more information. Our Nadi Yoga 200Hr Teacher Training provides graduates with a solid foundation and set of effective tools to teach yoga while deepening their own personal practice. The focus of our 200Hr training is to provide future teachers with the knowledge of anatomy, alignment and adjustments as well as yoga philosophy, embodiment, energetics and practice. This foundation will serve as a powerful base from which to teach. Our program is committed to the creative process of unlocking each new teachers voice so they find their authentic expression and talent. This training is appropriate for the dedicated yoga student who is ready to take their practice to the next level and begin to teach from their own heart and embodied experience. With a 20 person maximum attendance students will have individual attention and access to professional trainers as well as the intimacy of a supportive community. Click here for more information. January 24 – 29 2016 , Wellington, $1100. This intensive 50Hr teacher training is the foundation stone and first module of Yin Therapy’s 200Hr Yin Yoga & Anatomy Teacher Training. Yin Yoga is “the other half” of yoga. 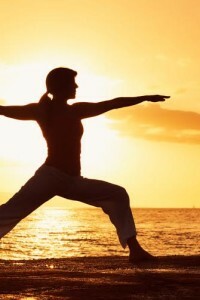 It is the complementary practice to all yang forms of yoga, dance and sport. Yin Yoga stimulates the fascia – the connective tissue, ligaments, tendons, joints resulting in a deeply relaxing practice while creating “space” in the body, de-stressing the mind and re-energising the soul. The backbone of Yin Yoga and this training is yoga anatomy from a functional perspective. The mystery will be solved why you or your students may be having difficulty doing certain poses. You will be equipped with the knowledge and skills to teach Yin Yoga with an understanding for anatomical variation, benefiting one’s own practice as well as the teaching of all forms of yoga, dance, sport, massage and bodywork. Click here for more information. 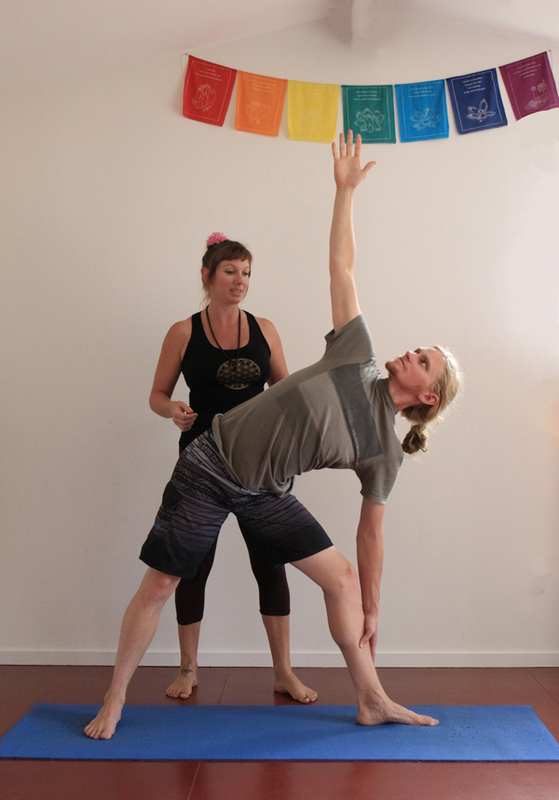 Click here to see our Auckland Teacher Training dates in March 2016. * We compiled this guide by scouring the NZ Yoga scene to find all the current teacher trainings, and then invited every training to participate. Not all trainings wanted to be included, so it doesn’t include every training in the country. If we didn’t contact you, and you would like to be included, send us an email. There is an administration fee for inclusion. We invited Ashram Yoga to participate, but they declined. We did our best to get everyone to participate so it would be a full description of what is on offer.